April 1st, 2014 by Roy W. Spencer, Ph. D.
For the last few days I’ve been trying to think of some crazy, almost-believable angle to illustrate the absurdity of the current global warming movement. Alas, the global warming alarmists have already used up all of the crazy ideas themselves. As far as they are concerned, global warming causes everything. More rain AND less rain. Check. More snow AND less snow. Check. More hurricanes AND fewer hurricanes. Check. And, once you get journalists’ imaginations involved, it gets even crazier. Earthquakes. Meteor strikes. These are people who actually think the movie Gravity was filmed in outer space. Now, as the new 2014 IPCC report is revealed, we find that a lack of warming for 15+ years has the experts even more concerned than ever. So, the greater the amount of good news on the global warming front, the greater their hand-wringing. How can we make fun of them when they are already parodying themselves?? It’s disheartening. …global warming is destroying April Fools Day. April Fools day is every day for the man-made CO2 warmists. You people have been duped by someone with an agenda. Who might that be? A research scientist mulling over data for patterns? Or an oil company owned by a billionaire who stands to lose money if legislation is enacted to reduce pollution? Hmmm. It doesn’t take a researcher to figure this one out. Dear Jason, The natural gas billionaire (Koch) is funding an alarmist organisation and its CEO is a member of JASON. What a coincidence. It is promoting a campaign that environmentalists should love fracking because it will save us from global warming. I live over the Utica Shale. We are bombarded with this message daily. You have been duped into thinking there is such a thing as a “global temperature.” You have been duped into believing that CO2 is pollution. You have been duped into believing that our miniscule contribution to the total amount of CO2 is the sole climate driver. You have been duped into thinking it’s a sin for humans to do what they need to do to survive. You have been duped into believing that one’s source of revenue invalidates any facts they present. You have been duped into thinking that science is a consensus. We are doomed. The end is near. Ah, I believe you have been duped. See 4xperyear. Jason, who do you think works for oil companies? I work for a major and we all have graduate degrees in sciences like geology, physics, math, chemistry. I have seen both sides of the fence and a check from the oil companies does not bias anymore than a check from academic institutions or funding agencies. Plus, people start to justify their research as for the greater good in academia and assign purpose to their life from their work… This is a powerful bias in my opinion. At least I know I find oil for a living… It is not a passion it is my job. Oh and btw my passion is climate and the suns role in climate change. The sun is just not as convenient of a villain as oil so it doesn’t get much attention. Plus, humans can’t control it so we are scared of that scenario. Global Warming has destroyed orginal winter days in central europe since november 2013, december 2013, january 2014, february 2014, march 2014…. With a view to global maps, we can see a “blue and orange eye” east and west and also south and north. Extremely conditions are climate change conditions! Looking out for rainy days, because we almost have NO RAIN! Indeed, global warming is becoming increasing difficult to ridicule. For example, recently there was the story from Mother Jones that global warming had made the search for the missing Malaysian plane more difficult! I tried an April fool on my blog today but people will probably think it is serious. The spoof LiveFromGolgafrincham blog was interesting because so many people on both sides did not realise it was satire – see their post on climate denial and the long comment thread. Was it definitely a spoof? I wasn’t sure, but I couldn’t find the E.U. department which allegedly provided funding. I also couldn’t work out whether it was pro or anti climate change. I have done a second blog today discussing how some people don’t spot what to others is obviously satire. As you say, the EU dept that supposedly provided funding for LFG doesn’t exist. Nor do the various organisations that the contributors supposedly worked for. One of the contributors is Prince Charles (OK, non-UK people could be forgiven for not spotting that). Apparently there is a term for the “impossible to parody” effect – it’s called Poe’s law. Thanks, I think the problem is that claims about “climate change” are becoming so absurd, that is difficult to distinguish them from parody. I fear that in the future won’t be able to tell the difference. I fear that in the future people won’t be able to tell the difference. but that’s what the IPCC already thinks of our satellite measurements! If only the CAGW movement was an April fool…. But it is. It’s like the Groundhog day but stuck on April fools for the last 20 years. I think the recent report the IPCC gave saying temperatures will rise by 6F by the end of this century was an April Fools joke. I never thought the IPCC would say make such bold forecast given all the expert analysis they have given on the climate, and all the expert projections they have given which have come true up to date, due to those expert models which have predicted every single climate change to the tune of 100% up to date. APRIL FOOLS. I have to disagree with Dr Spencer here. He writes that something makes some scientists as smart as journalists. Against that, I say that no one can be as smart as a journalist, not even a global warming scientist. 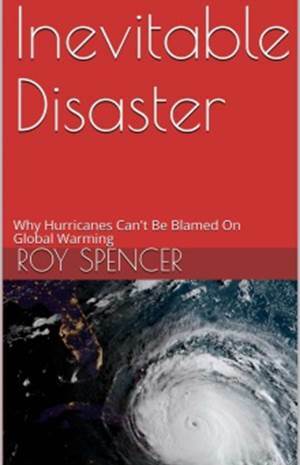 Roy, I was thinking along similar lines, but looking for the most bizarre claim and putting it down to global warming. I hit a problem very quickly, all of the bizarre ideas I cam up with had already been done by the warmists. Global Warming is destroying America’s cultural heritage. We have seen a downturn in the tornado count in recent seasons. Clearly, the oceans are trapping all the heat — a new and little-understood disaster that is also causing “the pause,” should such a pause actually exist, which is doubtful — and resulting in a dearth of tornadoes in the American Middle West. Now, as we know, tornadoes have played a crucial role of American culture. Books and movies, such as The Wizard of Oz, illustrate the importance of tornados our history and shared mythologies. Not to mention the humorous “tall tales” of snake oil salesmen. These harmless vortexes were able to transport us from our short, brutish lives of toil in flat, nondescript, monochromatic landscapes, to magical worlds full of color. Green color mostly. Not only that, they could take us to places only reachable by hot air balloons. Now, Global Warming threatens to destroy these vital touchstones of American culture. Think of the flying monkeys! How can anyone pretending to be a scientist make the statement that there been a lack of warming for 15 years. What is the basis for such a delusional statement? See IPCC WGII AR5 Summary for Policymakers, Assessment Box SPM.1 Figure 1. Graph of observed temperatures with no increase in temperatures since 1998 and temperatures at or below the RCP2.6 low-emission mitigation scenario level lower range limits. Can you show me, where the IPCC makes any conclusion that global warming has paused? The graph shows that, although I doubt they would say so explicitly. Where would you put the actual temperature on the graph? I wouldn’t try to infer that “global warming has paused” from a surface temperature plot since 90% of the earth’s heat increase goes into the oceans. I also wouldn’t consider a 1998-2013 trend a statistically appropriate range for talking about these things, but I know cherry picking is the cornerstone of climate change denial. I tend to agree that the 1998-2013 decadal surface trend is closer to +0.11 C / decade. How can someone who doesn’t have basic information such as ‘m’ be so rude? Dr. Spencer is not pretending to be a scientist. The figures, as he points out, are publicly available, and reflected in all the datasets (RSS, UAH, HADCRUT, etc), not to mention widely accepted, with even Nature publishing an article on the fact that global warming has paused . Folks like you need to do a little first-level research  before you go off insulting someone who has devoted his life to his study, but happens to disagree with you or some ill-informed public sentiment. Any scientist who authors a sarcastic blog and needs to slap “Dr.” in front of his name, is pretending, yes. The data you are referring to is the surface data..the trend you are using begins in a noisy year. These factors (cherry picking) do not sit well with the truth. How has the earth stopped warming since 1998 if 2005 and 2010 were tied for the hottest years on record? http:// http://www.skepticalscience.com/docs/Comment_on_DK12.pdf (see figure 1). When you consider deep ocean heat content, you cannot, in fact, say warming as paused. Those statements are only partially true for coverage biased land temperatures. Did you infer that from the title alone? What does the paper even say, I can’t access it and I’m willing to bet you haven’t even read it. I don’t think you are aware of how many papers Nature has published that disprove your agw doubt…in fact, if you want to play the paper game you will lose very fast. Poor little m has lost his way, and doesn’t know where to find it. If you had ever lived in Southern California for any length of time you would know that hot dry weather is earthquake weather. Thirty years ago when I lived there this was a tongue in cheek joke, but now they will claim it is a scientific fact and the debate is over! (1) Every planet cools on its dark side at a rate which could easily have enabled it to cool right down (even in its core) to about the temperature supported by any external radiation. Venus cools about 5 degrees in 4 months, Earth cools by about 10 degrees in 12 hours etc. In other words, if the Sun existed but emitted no significant energy, it would appear that all planets in our Solar System could have cooled down close to absolute zero. (2) So it must be energy from the Sun which is maintaining the existing temperatures on all planets and satellite moons, even down to their cores, and it must be doing so by raising the temperatures back up again by the amount equal to the cooling the night before. Why, for example, is the core of our Moon so much hotter than the surface ever is? (3) Hence we require an explanation as to how the necessary energy gets into the lower troposphere, the surface and even below the surface of a planet or moon in order to maintain the current temperatures. In general, radiation from a colder atmosphere cannot actually add net thermal energy to a warmer surface and thus contribute to raising its temperature, because that would decrease entropy. This is established by the Second Law of Thermodynamics. (4) The original NASA net energy budgets for Earth did not show radiative energy transfers by the atmosphere to the surface, but they then found that the radiation from the Sun alone does not explain the mean surface temperature when using Stefan-Boltzmann calculations. Such calculations are inappropriate anyway, because what is effectively “the surface” is a very thin layer (let’s say 1cm thick) and about 70% of this thin 1cm layer is transparent water. A black or gray body is not transparent by definition, and so S-B should not be applied to a thin 1cm layer of transparent water. The mean temperature of the ocean thermocline (all of which is absorbing the solar radiation but not back radiation) is about 8 to 10 degrees below the mean surface temperature. (5) Whilst for Earth climatologists and IPCC authors then claimed to overcome this shortage of direct solar radiation by adding back radiation, you cannot possibly imagine that this would “work out” on Venus. Such back radiation cannot participate in any raising of the temperature of the Venus surface and, even if you think it could, you would have to explain how it could be over 16,000 watts per square meter, somehow multiplying the energy in the incident solar radiation (20 watts per square meter at the surface) by nearly 1,000-fold. If you shine a light such that it reflects multiple times between parallel mirrors, do you create more energy? That is what the radiative greenhouse conjecture is implying can happen with radiation back and forth between the surface and the atmosphere. (6) Between the base of the nominal Uranus troposphere and the TOA there is a mean thermal gradient which is very close to the usual calculated value (for the “Dry adiabatic lapse rate”) which is the negative quotient of the acceleration due to gravity and the weighted mean specific heat of the gases. On Venus (as on Earth) the effective (environmental) lapse rate (thermal gradient) is reduced by about 25% to 35% by inter-molecular radiation between carbon dioxide molecules on Venus, and water molecules on Earth, together with some release of latent heat on Earth which may play a small part in producing the “wet adiabatic lapse rate” though not the major part. So, why is it so? Is it just a coincidence that the base of the nominal Uranus troposphere is 320K (hotter than Earth’s surface) which is just the right amount for the correct thermal gradient to exist in the 350Km of troposphere above, such that the temperature at the so-called radiating altitude is just right at around 60K? Likewise on Venus and other planets? There is no ‘back radiation’. The term is a misnomer (of which virtually everyone agrees). It’s just downward LW IR, and no not all of it is specifically elevating the surface temperature above what it would otherwise be. A large fraction of it is just replacing non-radiant energy flux leaving the surface, but not returned as non-radiant; thus making it a net zero energy flux across the surface/atmosphere boundary. You put far too much emphasis on so-called ‘back radiation’. It is not the fundamental cause of the GHE. The GHE is established to be a radiative resistance to cooling effect, which really has little to do with the amount of downward LW IR that passes from the atmosphere to the surface. I notice on several fronts, this seems to be a major source of confusion. PS – See this blog for more detail, and feel free to discuss anything with me there. 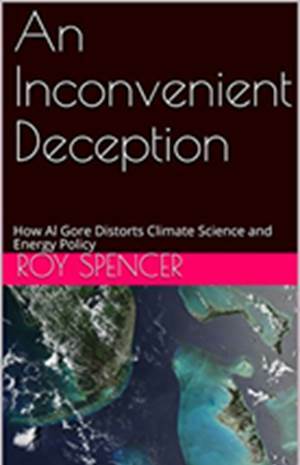 But on a serious note, for over two decades now, we have become aware of the many misrepresentations, misinterpretations, manipulations and abuses by the IPCC of the climate science and climate data. And despite this scientific malfeasance, the IPCC continues merrily on its quest, supported by its media fans and army of climate alarmists, and its biggest fans of all… the government scientists and bureaucratic functionaries. So when and how can this scientific deception be stopped in its tracks? The IPCC is backed by governments who, together with the environmental movement and others, are presently having ‘multiple orgasms’ over this latest report. Clearly, there has to be a way to bring sanity to the situation. The NIPCC is doing a wonderful job. But the NIPCC is no match for the might and power of governments and the UN. 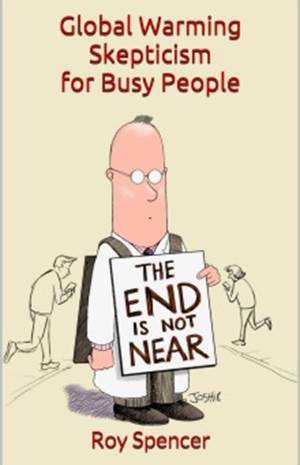 Climate realists therefore have to adopt a new strategy, and soon. There is little point fighting this battle with science, for we now know the science is irrelevant to the IPCC. So I put out a challenge to those more knowledgable than myself… to identify a new strategy that can neutralise the IPCC in one single stroke, with all climate realists aiding financially and otherwise in this quest. How can this be done? This is where we need ideas that are feasible and effective. It seems to me, one way this can be done is to test the IPCC’s “evidence” in a Court of Law or at an International Tribunal, in order to demonstrate how the IPCC has engaged in misleading and deceptive conduct using propaganda rather than science to further its cause. It would be interesting to know what others think? I have to point out that global warming can increase the chances of a meteor strike. With a warmer atmosphere, the effective diameter of the Earth’s atmosphere increases slightly. This ‘dramatic’ increase in the cross-sectional area of the Earth (a few parts per trillion?) increases the chances that a passing meteor encounters atmosphere, slows down and crashes into the surface. As with almost all other global warming effects, detection of the increased probability is not possible. But, per Trenberth’s new null hypothesis, it is obvious to the most casual observer that global warming can increase the probability of a meteor strike on Earth. This is more than enough handwaving settled science upon which to base a screaming headline at the Paper of Record. I blame this on the adjustments made to the 1930’s temp records recenfly. Just sayin……. Lots more info on link at bottom of post. These are people who actually think the movie Gravity was filmed in outer space. I understood that to be a joke question, and it got a joke answer. Any fool could see that a greenhouse effect is impossible on Venus, Roy. I use the Second Law of Thermodynamics to confirm that any given location on the equator of Venus must cool by a finite amount during the 4-month-long Venus night. There is information that I have read which states the cooling is 5 degrees from 737K to 732K. The exact amount is not important, however, because there is no indication of any long term cooling in mean temperatures and so we can deduce that the given location will warm back up again by the same amount during the next 4-month-long day. Hence there is net energy entering the surface in the day. So I use the Second Law again to prove that the net energy entering the surface cannot be doing so by way of radiation from the colder atmosphere, because numerous sources (such as this) indicate that all regions of the atmosphere have lower temperatures than the surface, and the Second Law states that entropy cannot decrease. In addition I then use the Stefan-Boltzmann Law to determine that an incoming solar radiative flux that would be required to raise the surface temperature would be in the vicinity of 14,000 to 16,000 watts per square meter for a realistic surface emissivity in the vicinity of 0.85 to 0.95. I then compare known data pertaining to solar flux reaching the TOA of Venus and state that even all the radiative flux reaching TOA would be far too little to result in a net energy input into the Venus surface. The First Law of Thermodynamics can be used to prove that energy in the total flux entering the Venus surface cannot be increased by any amount by any process (such as back radiation) within the atmosphere, because we cannot get such a huge increase in energy in any given time coming out of the atmosphere than we put into the atmosphere. Hence the concepts assumed in the radiative greenhouse postulate pertaining to Venus do not fall within the laws of physics, and are thus invalid. What evidence can the author(s) and/or editors of the article provide which shows any global warming on Venus in the temperature measurements for the Venus surface that have now been recorded for a few decades? If there is any proof of warming due to 96% of CO2 then why would that not indicate far, far lower warming expected for the 0.04% of CO2 in Earth’s atmosphere? Hey Doug, do you have a blog of your own? Funny that you should ask that. Not only does DC have several blogs of his own, the one he mentioned today here is unique in having postings by DC followed by what appears to be many comments by DC himself apparently arguing with himself. Truely weird. “More rain AND less rain. Check. Is that really how you see the issue? Do you not understand the concept of wet getting wetter while dry gets dryer? Or that higher latitudes might see more snow while lower latitudes might see less? Are those concepts too difficult to comprehend? Is the idea of climate change which is not AGW too difficult to understand. Is 17 years of little variance in the measured temperature of earth to difficult for you to comprehend? Is the fact that only 20,000 years ago the northern hemisphere was covered in large part by glaciers and the oceans 200+ feet lower of any interest to you? Do you think the glaciers then melted due to man’s activities? surely it’s just a matter of time before this is linked to AGW. It is a disservice to the public to claim that surface atmospheric temperatures (or troposhperic temperatures) define global warming. The accumulation of ocean heat reflects a continuing top-of-atmosphere thermal imbalance of ~0.5 W/m2 caused by an enhanced greenhouse effect. Owen, April Fools’ Day is over…. But what changed 17 years ago to switch the warming from the atmosphere to the oceans? The only thing that switched was “warmists” trying to claim the heat was going into the oceans. Before that, they were trying to claim the heat was going to melt the polar ice and boil the oceans. Pay attention – they are arguing emoticons – you are arguing math symbols. Was hoping it may have been an April Fool, but it seems the Warmists have taken to terrifying surfers, now. The high air pollution in the UK over the last few days has already been linked to “climate change”. And why do the BBC keep stoking climate hysteria? Face it, the BBC is biased. They demand that we pay all those companies they have there investments in so the climate change con-game doesn’t collapse, otherwise they’ll lose their shirts. And because no bad weather ever happened before …or something. http://www.ncgt.org/newsletter.php select issue 60 and scroll down to page 38. There is a weak correlation between seismic activity and temperatre. It’s negative. And what about the people who actually think that some almighty creature created each and every species separately? Are you really the right person to complain about other people having silly ideas, Dr Spencer? As already pointed out, your own link shows that the question about Gravity was asked as a joke by a comedian. Not that there aren’t lots of ignorant, even stupid, politicians and journalists. Guys who don’t understand the tides, think that AGW can’t be a problem because God promised not to flood the Earth again etc. You know when Dr. Roy hits a nerve by the responses like above, from Thomas. April Fools Day is over, so now we face reality, because the world has been fooled too long with garbage such as Wikipedia promulgates about there being a radiative greenhouse effect on Venus, when even all the solar flux reaching the top of the Venus atmosphere could not raise the Venus surface temperature. You cannot expect to get out from the base of the troposphere many times the energy flux that entered at the top. This effect is what can be used to explain “heat creep” which is downward convection (diffusion and advection) driven by a temperature inversion which disrupts a prior state of thermodynamic equilibrium, that being the same as hydrostatic equilibrium. That is the process by which the Venus surface receives thermal energy and that process maintains existing temperatures in all atmospheres, surfaces and sub-surface regions in all planets and satellite moons in the Solar System. Translation: Doug doesn’t really have a blog of his own. He just goes from blog to blog, until he saves enough from his allowance to have a blog of his own. That seems like a slightly odd thing to say, given that your own UAH data set shows warming over the past 15+ years. I make it +0.15 deg C/decade over the past 15 years (180 months to Feb 2014). Am I mistaken, or do you just not trust your own data? I honestly believe he does not trust his own data. Calculating linear temperature change is more complex than drawing a straight line between point A and point B and observing the slope. That ignores the accumulating impact of the temperatures during the intervening years. Total linear temperature change in UAH between 1998 and 2013 (full years), calculated using the ‘LINEST’ function on MS Excel, is +0.10 deg C warming. The linear global temperature change shown by UAH over the past 15 years, i.e. the 180 months from April 1999 to March 2014, is +0.21 deg C warming. That’s a rate of 0.14 deg C per decade; slightly down from last month. Yet Dr Spencer says there has been a “lack of warming” over this period. Does he consider his own data set to be unreliable? If these people didn’t have the ear of every money grubbing politician in Washington, AGA zealots would in fact be quite hilarious. Sadly, they do have the eager ear and the will of many a politico, who would willfully destroy the world economy at any cost to stop Co2 emissions. The farther we go down this road the harder it will be to turn around and come back. As with all legislation, good bad, really bad or simply a waste (the ACA comes to mind), outdated or bad legislation is never repealed. At some point in time sound science will prove them wrong. In the meantime they will pass draconian legislation the will utterly destroy modern civilization.